Center stone dirty from too much lotion on wedding day. Right off the bat here I’m going to need to make a confession. My wedding ring comes off all the time. On purpose! Yes, I know that is sacrilege for a lot of people out there, so I am sorry if I offend. However I need to be honest to tell this story. You see I take it off just about every time I use lotion... which is a lot. I rarely wear it when bathing, exercising, gardening, sleeping or immersing myself in any type of water. I like it to shine, but somehow even after all my fussing to keep it pristine, it becomes cloudy. So I will also take it off occasionally to be scrubbed and cleaned. My ring is very valuable to me, not monetarily, but symbolically. He has never taken his off…for any reason. If you look close it has a few superficial scratches. It is made of one of the harder metals known to man, tungsten carbide, (which apparently makes extremely durable saw blades.) It has a raised and notched black ceramic center line. He is a blue collar guy who works on cars, and his hands are black just about every day. He’s the one who should not be a wearing such an expensive item on his hand. Over the years he has worked on farm equipment in the snow, and changed tires on semis on the interstate. He’s always in mud and using heavy equipment of some sort. But that ring stays on! We picked it out not only because it was tough, but it also fits his very manly size 13 ring finger. He doesn't clean the ring, but somehow it always looks good. He made a great choice. Funny thing about this ring of ours, the raised center started spinning about a year after we were married. It actually orbits around the band. It isn’t crooked or anything. It isn’t even loose. It just isn’t intended to spin? We think it’s definitely unique. So far we don’t know of anyone else out there with one like it. I share this with you because it is symbolic of what we are going through as a couple right now. My other half is working on a job in another city for the next two years. It’s been three months now and it has actually flown by. He is a quick 2.5 hours away and we know we can wing it. Most importantly it is what we have been hoping and praying for. We just had no idea it would come this soon. That being said we took a huge leap of faith in matters regarding finances and children and housing. It’s been quite an upheaval. We know that we have been blessed with this opportunity, but it is still a test due to some new-fangled types of stress. On the bright side I’m pretty dang excited to go back to dating my husband. When you only get to see someone on the weekend, or even have to go three weeks, it is definitely something to look forward to. I miss him sleeping next to me, but it’s so fun to talk and giggle on the phone at the end of each day. If I want to edit out the messy details of a lousy afternoon, I can and often do. Also not living under the same roof means he doesn’t have to see me running ragged all the time. When I know he’s coming home I shower. I actually dress (up) for him…which might just mean jeans and a shirt, and shoes on with my hair brushed. But hey, it’s better than the alternative of the person seen perpetually clad in sweats and a pony tail. I will polish the furniture and make sure everything is neat and tidy for him when he walks in on Saturday night. So I’ve been pampering and caring for him (and me) a bit more, sort of like my ring. He was home just this past weekend and I was playing with his ring in church and spinning the center. I noticed that it is a lot like our marriage right now. Sure it might appear screwy to many an eye perhaps, but it’s definitely solid. It's not going anywhere really. We are proving that just like that ring, one part can move without the other and that’s actually quite alright. Then I started wondering if anyone else bought that same groom’s band and returned it because it started spinning after a year. Or maybe they’ve gone easy on theirs. 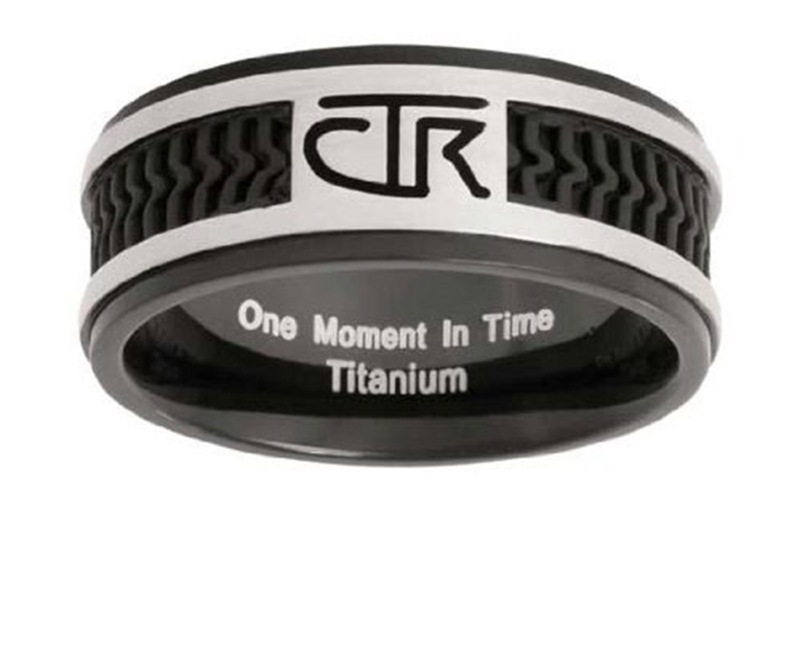 Heck some rings might take 20 years to show the flaw, or maybe we just got lucky with the one and only amazing spinner ring. Either way we are glad that ours showed what it can do early on. We would never take it back. It reflects what we are experiencing right now and to us it’s really cool, and apparently it’s indestructible. Just like us. And it’s wrapped around the hardest working hands I have ever touched or seen. Those hands hold me up and lift me and soothe me…always with that spinner ring on. A flawed ring wrapped around a faithful finger that’s mine. There's a bit of a twist now. You see I wrote this blog Tuesday night inspired by the weekend's events. I even came up with the term "spinner ring" all by myself. I promise I have never heard of such a thing. Then this morning I drove to Salt Lake City to drop off my teenage nieces at the airport, who'd been staying with us for 9 days. I asked them if they wanted to get their dad something to bring home for his birthday, as we had a few minutes to shop. We live in Idaho and had been at a Walmart the day before and to my knowledge they had only found him a card. With all of my girl's shopping as well, we had been split up at check out. I escorted them to the gate and while we were sitting and waiting for their boarding call, my niece opens up her backpack and drops an item into my hand. She tells me to look and see what she found for her dad at Walmart. They are not Mormon. 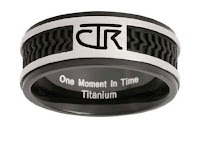 Yet, there in my palm, she places a very beautiful men's CTR ring. I fiddled with it and had to ask her if it was broken, because it had a center section that spun around. The perplexity I felt at that very moment was indescribable. Truly. Mind blowing. Upon arriving home I ferociously opened up my laptop to see if I could sleuth out if that CTR ring was perhaps faulty as well. What would the odds be of that? 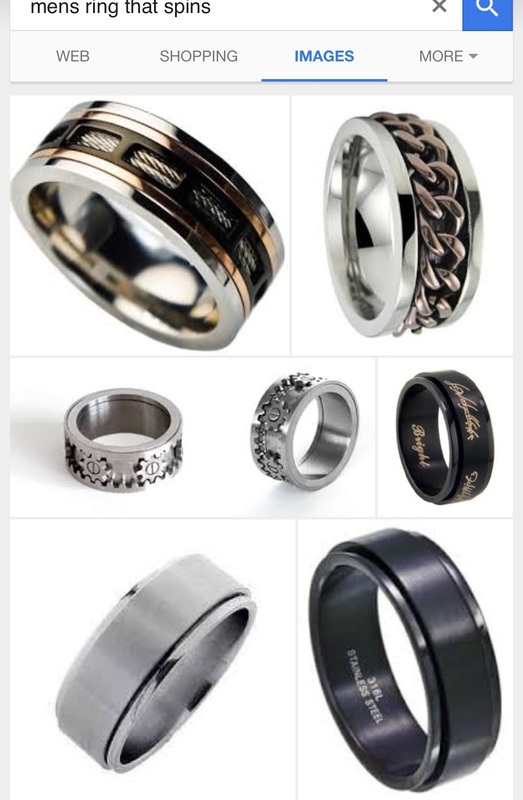 A simple web search brought up dozens of images of men's rings that are actually designed to spin. I couldn't believe my eyes. I laughed and then cried happy tears at the ridiculousness of it all. 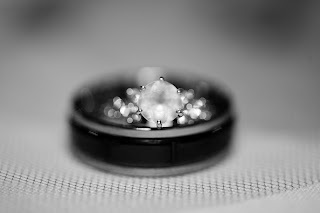 How uncanny that just a few hours prior I had written and scheduled a blog about something so obscure as my husband's defective wedding band. Aside from that, to suddenly find out that his (ours)is not the sole spinning ring, made my entire analogy bogus. We are the one's who have been under the impression for the past four years that the ring was one in a million, and like my husband says, it still is because it belongs to us. On many levels I can only hope that this odd incident is maybe just a little wink and nod from above.